Sample Sale - Straight off the Top Model UK Runway! I am delighted to announce that Louise Rose Couture is having a sample sale! 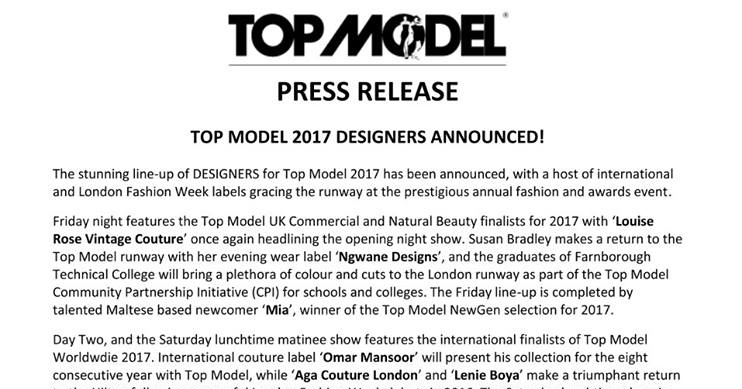 Following the prestigious Top Model UK 2017 finals, our Sample Sale will be featuring our garments straight off the catwalk! Everyone on our mailing list will receive the link to the online Sample Sale 24 hours before it will be posted publicly. 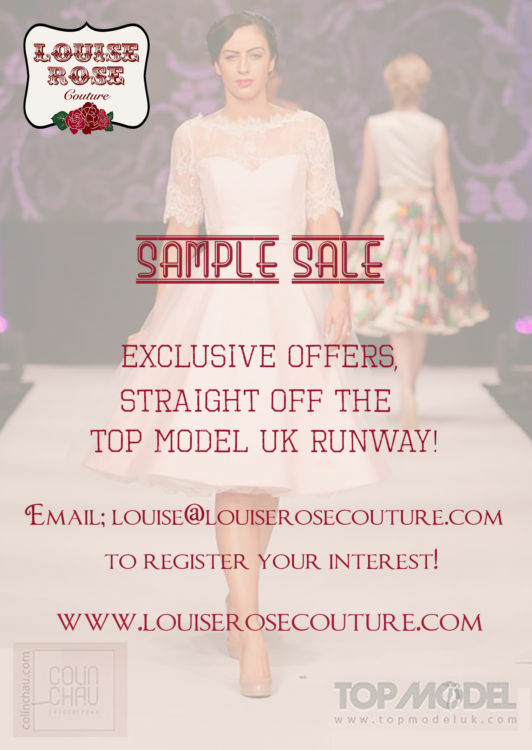 To register your interest and be in with a chance to snap up one of our one off pieces first, simply email louise@louiserosecouture.com with your name and ‘SAMPLE SALE’ as the subject! The sample sale will be going live on Friday 31st March 2017! There will be a selection of our classic fifties style day & occasion dresses & seperates, as well as select bridal samples; so if you’ve had your eye on any of our pieces, now is your chance to grab them at a huge saving of 50-70% off! There will be a range of sizes from UK 6-18, each listing will state the size of the sample. Register your interest now for updates!